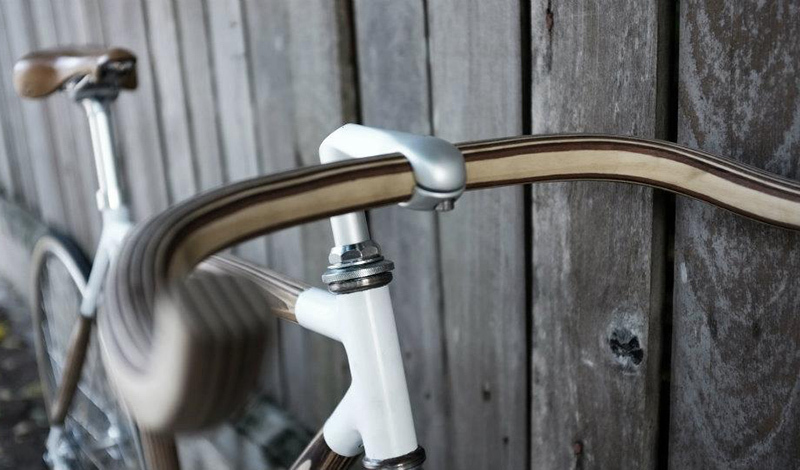 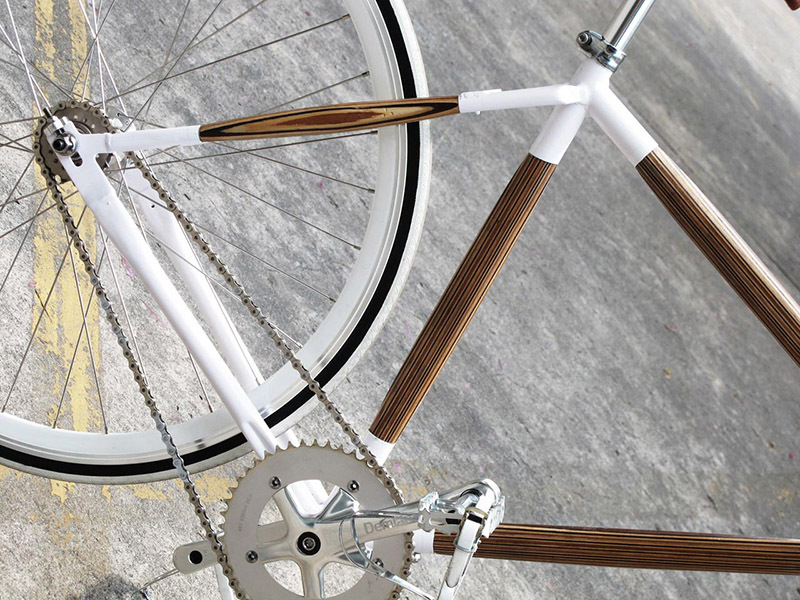 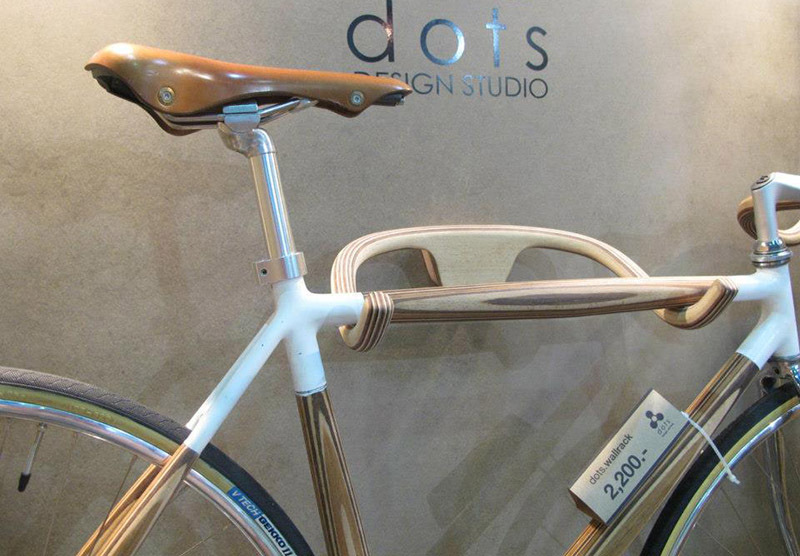 If It's Hip, It's Here (Archives): Plywood Bikes, Handlebars and Rack by Dots Design Studio of Thailand. 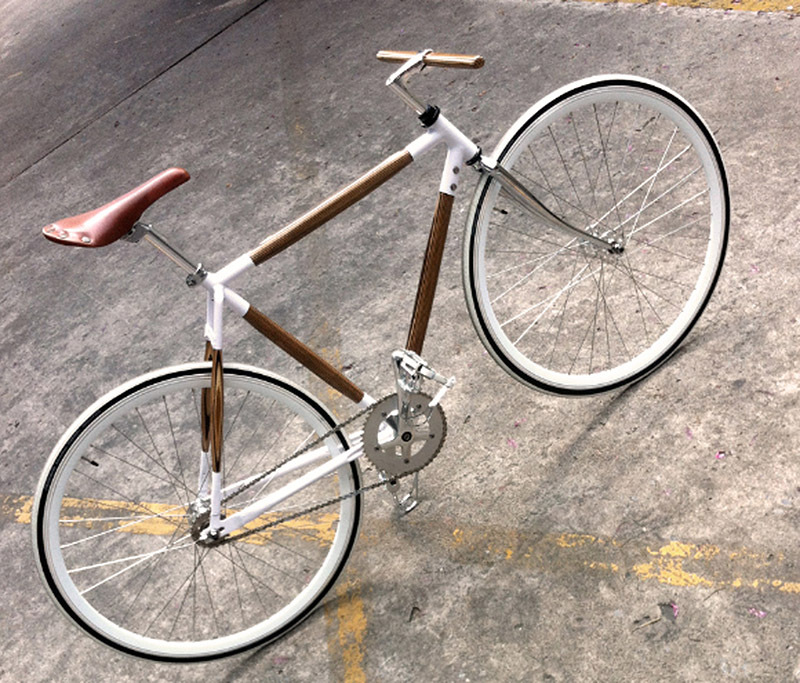 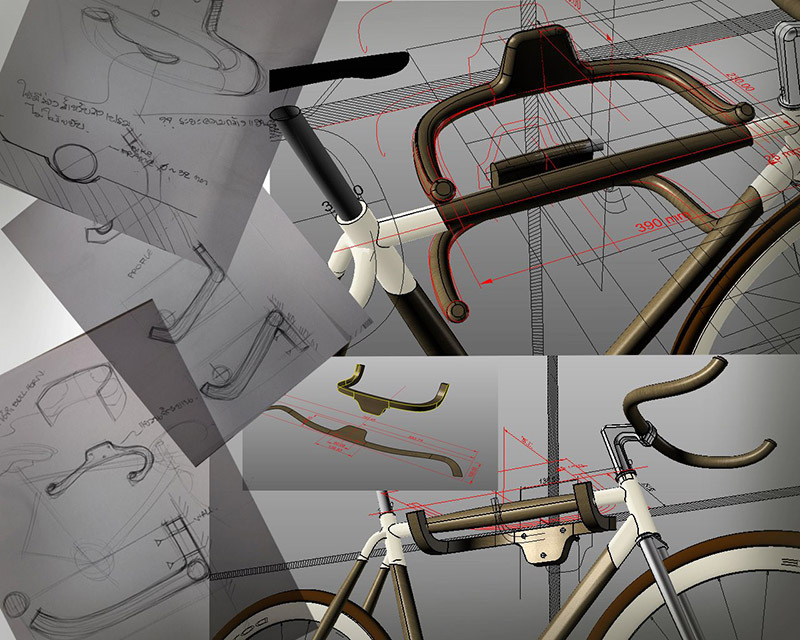 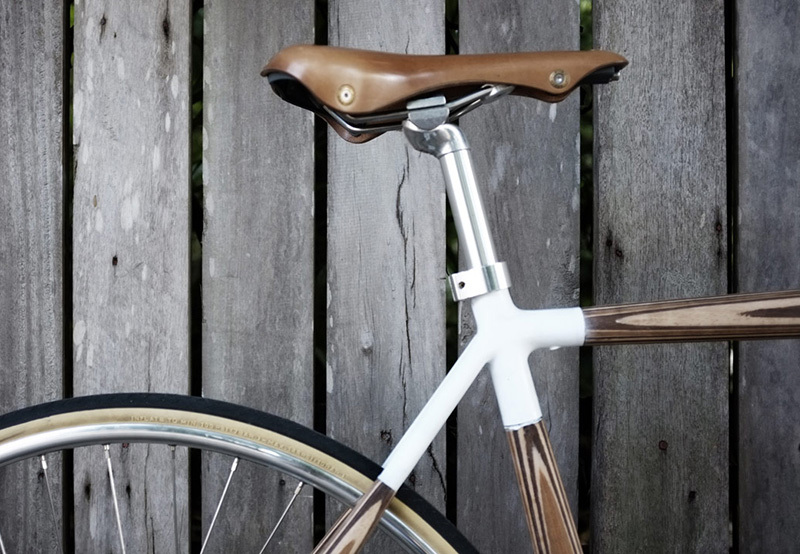 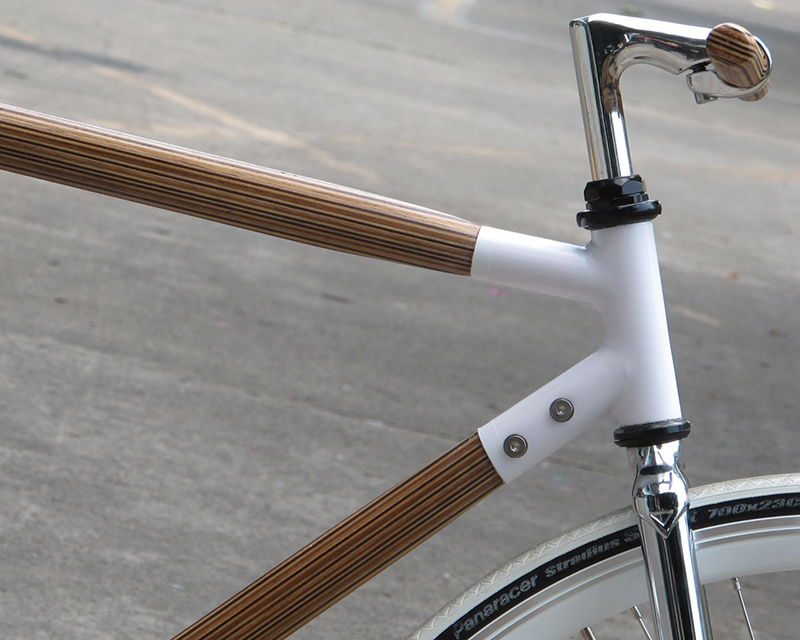 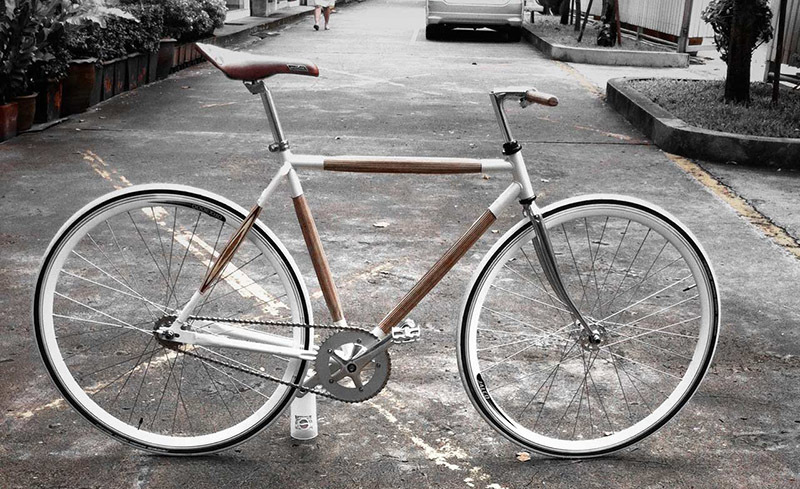 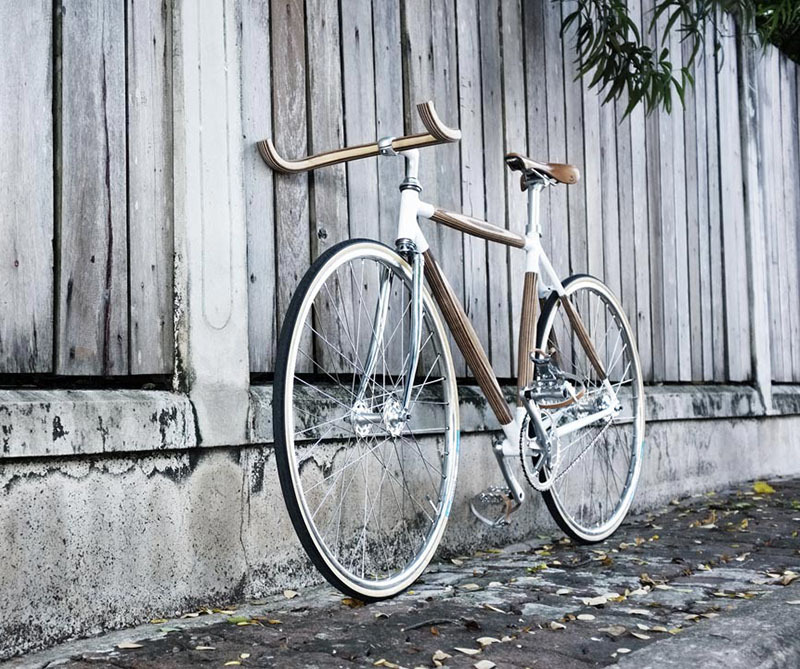 Plywood Bikes, Handlebars and Rack by Dots Design Studio of Thailand. 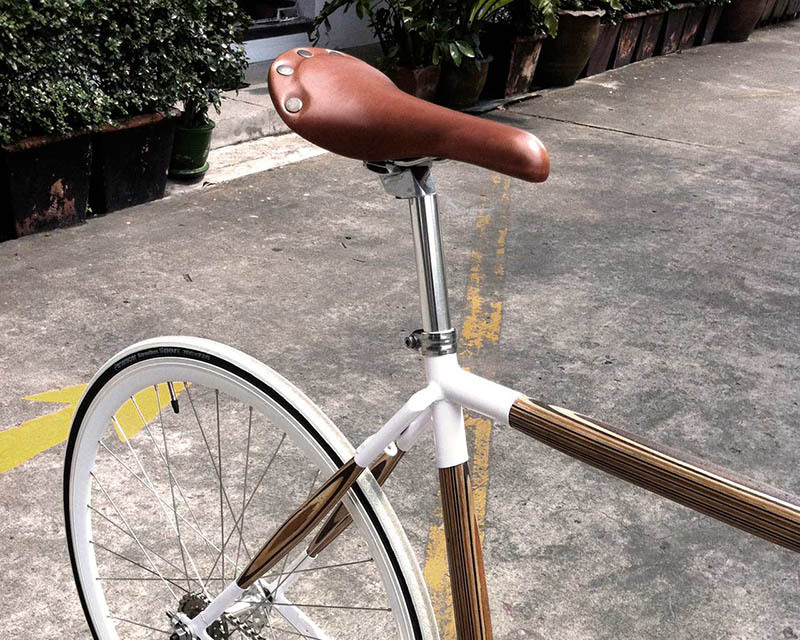 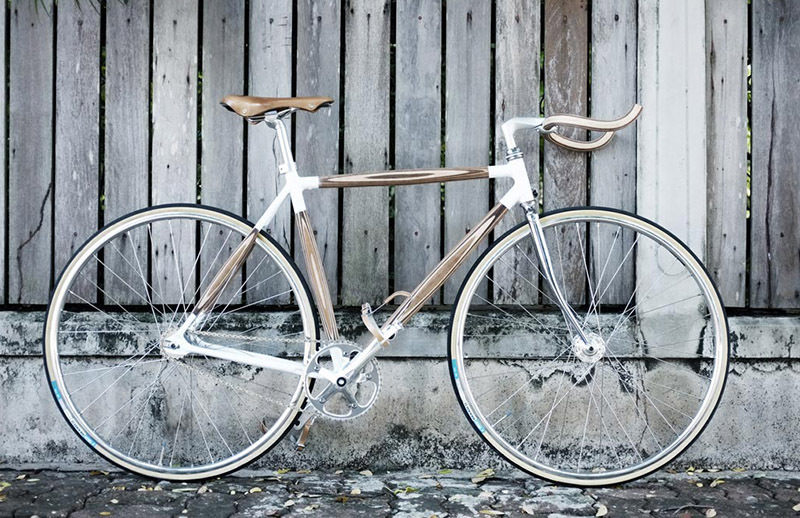 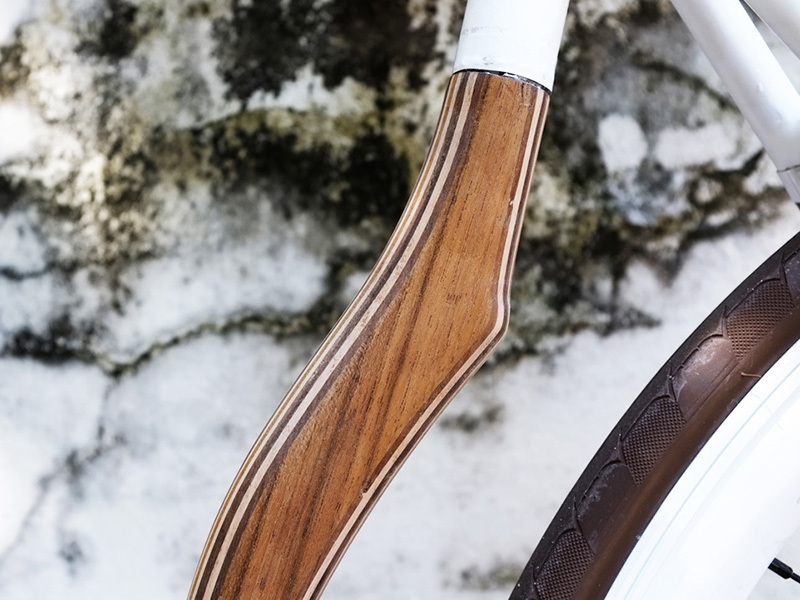 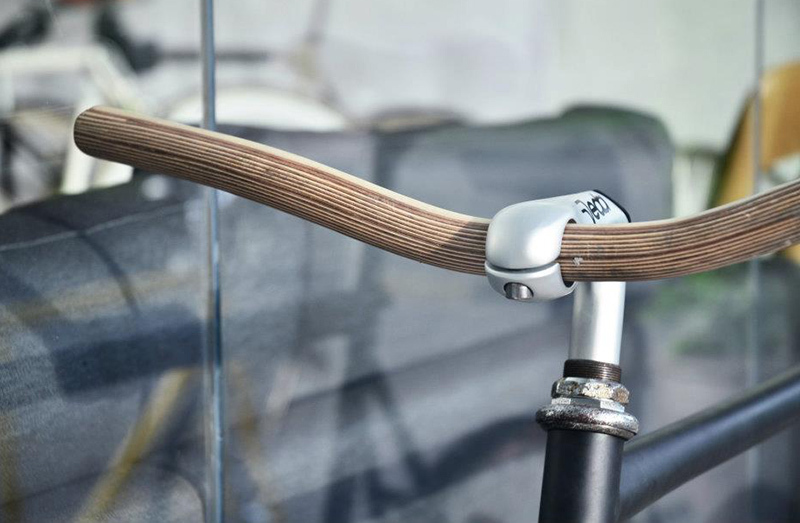 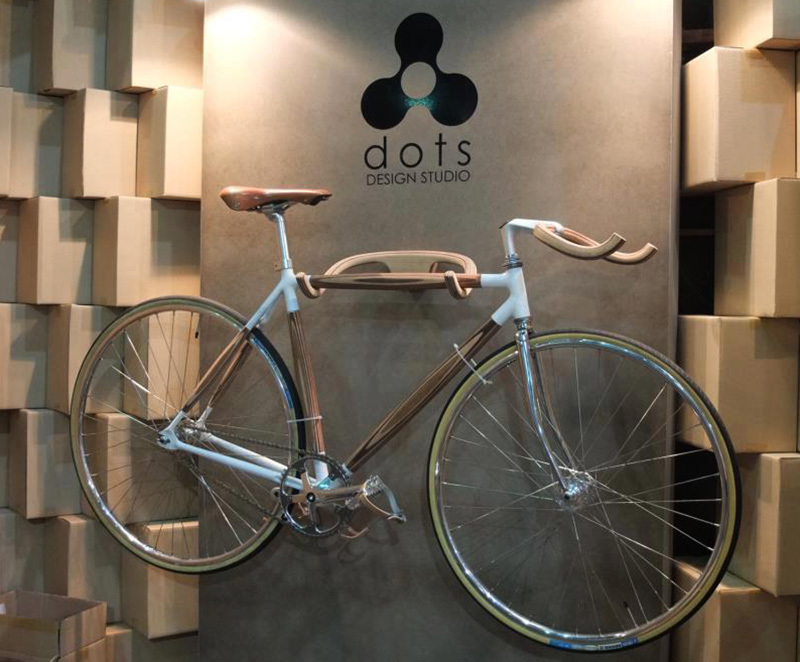 The Dots Design Studio of Thailand continues to perfect their PLYbike design, now executing their third version of the plywood street bike with a Brooks seat, as well as offering two styles of wood bicycle handlebars and a wooden wall-mounted bike rack. 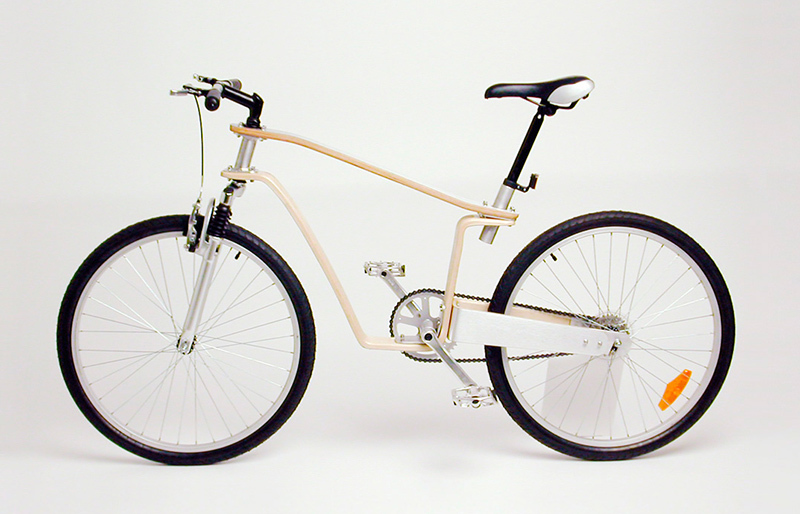 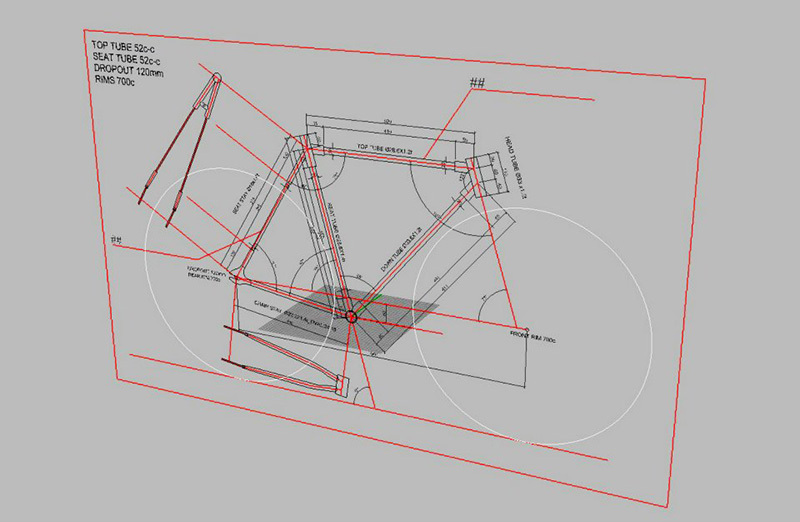 Earlier versions of their PLYbike allow you to see the design evolution. 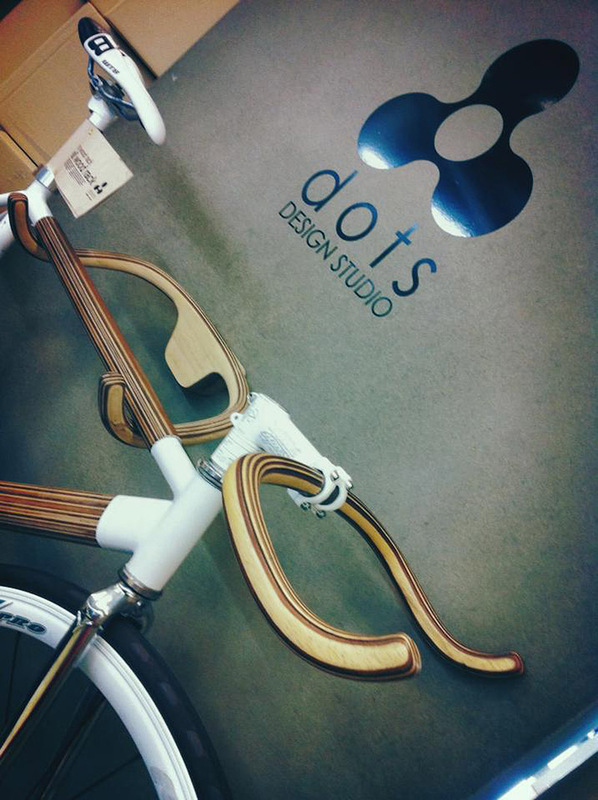 Dots design studio is a full service product design, and combines the knowledge from marketing perspective and design perspective. 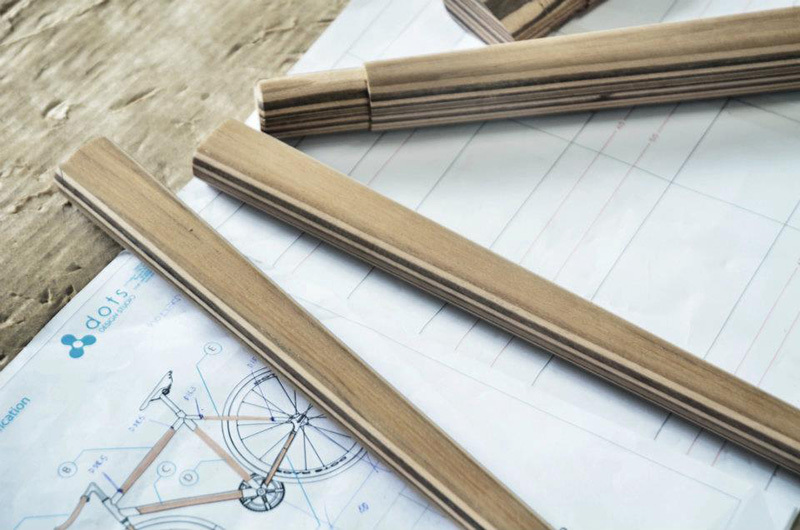 The Design studio is comprised of a team of designers, communication designer, interior and strategist, which can have a broader view in any project. 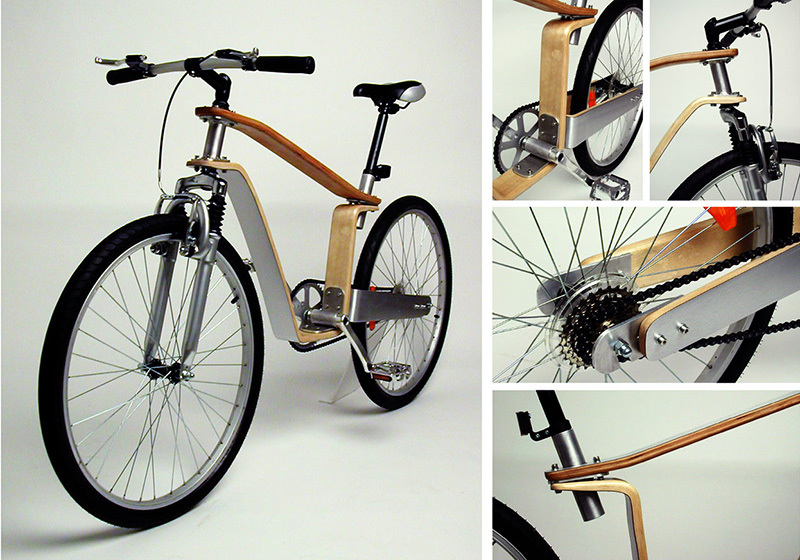 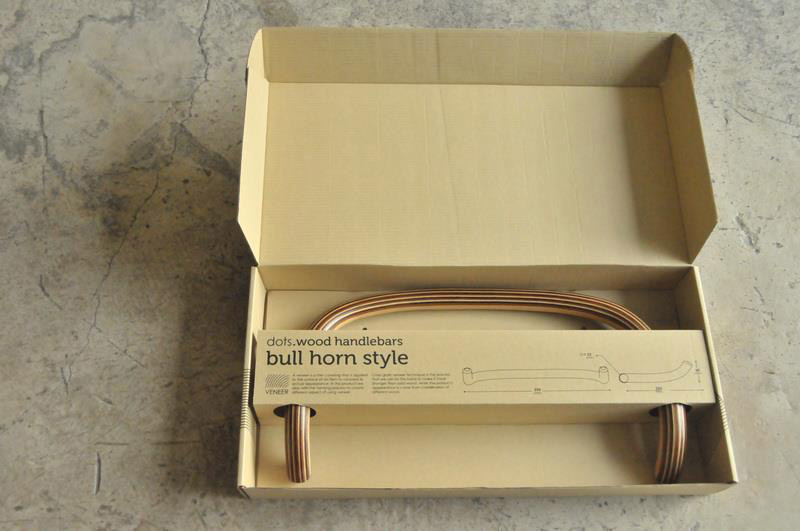 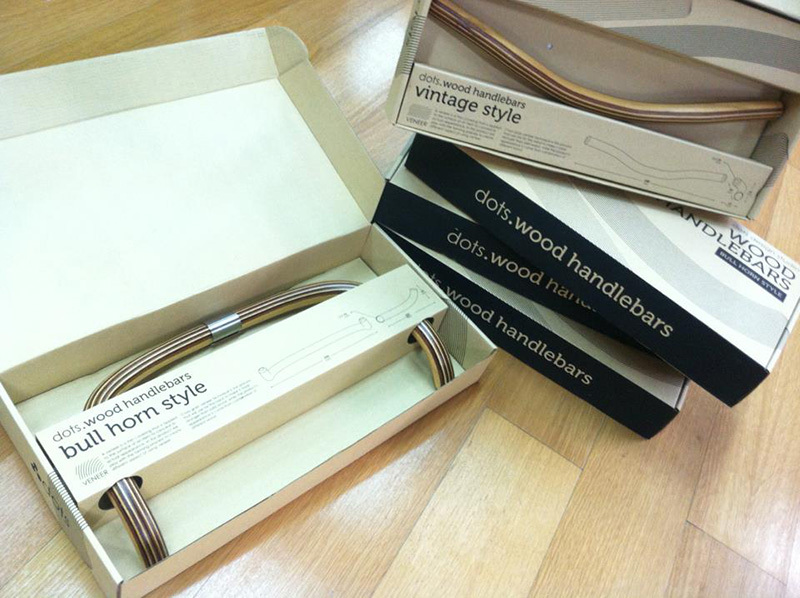 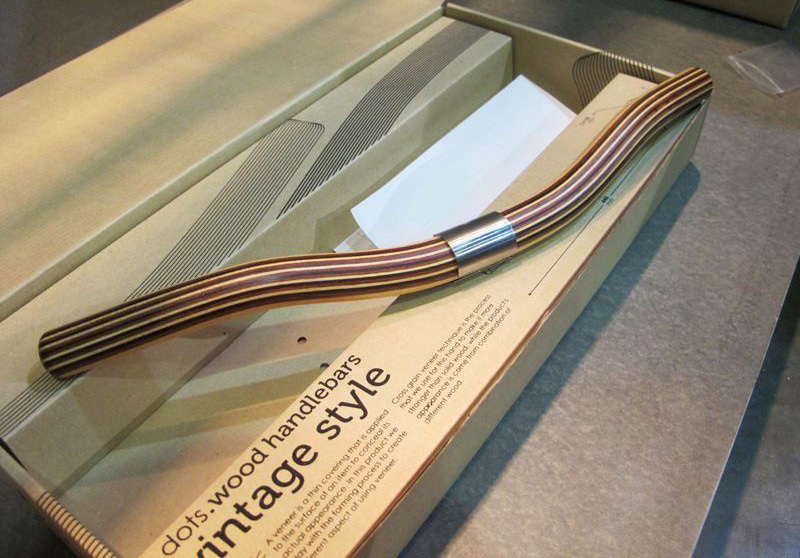 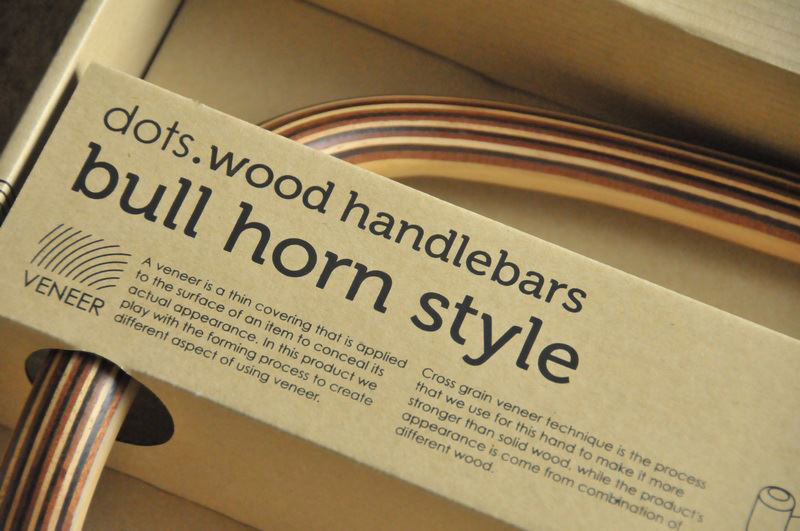 Their design approach is mainly focused on experimental process of various materials, such as metal, wood, etc. 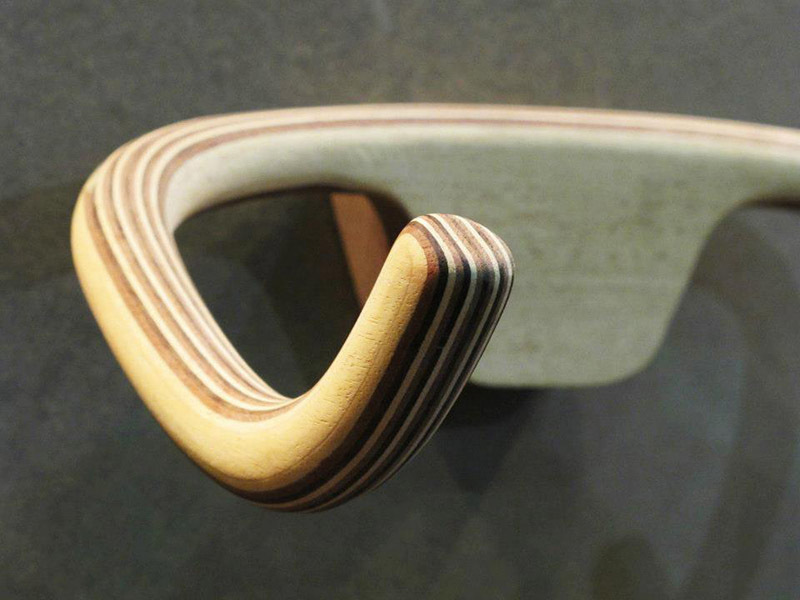 They are enthusiastic in pushing materials beyond their limitation both conceptually and functionally in order to achieve their aspiration of creating new design dialect.